A Burst of Turkish Delight! Our teachers in Turkey have sent us some great pictures and news from their time in Turkey so far! 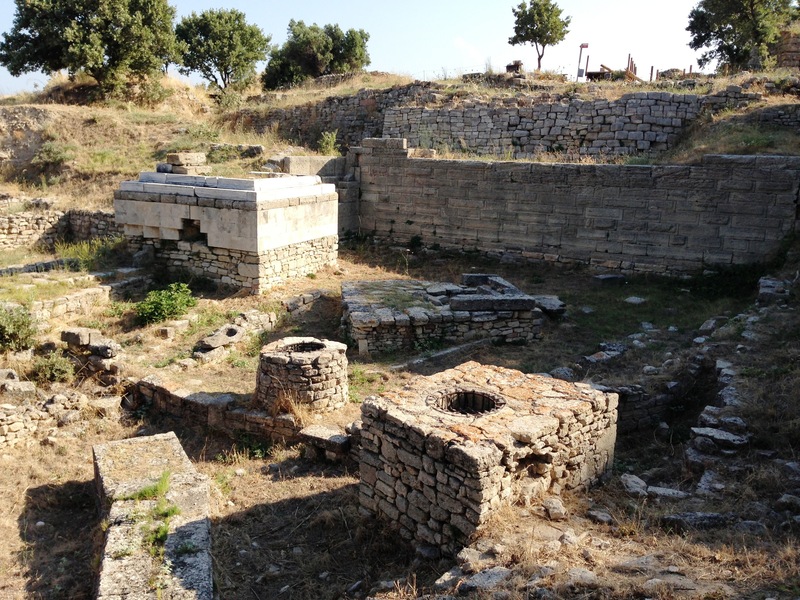 Check out Regina Zafonte’s blog post and pictures of the ruins of ancient Troy taken by Shawn Santasiere. Waking up in Turkey during Ramadan to the distant sounds of the call to prayer has been a unique experience for the 25 traveling American teachers. The religious observance of Ramadan, a pillar of Islam that signifies an offering of the self to Allah, involves a month of fasting from dawn to dusk during which time no food or liquid can be consumed. Although the restaurants are generally quieter than usual during this holy month, there have been no shortages of delicious and traditional food along our journey. One of the best cuisines can be found at Kebabci Iskender, which features a type of lamb kebab with hot tomato sauce, oil-sprinkled pieces of pita bread, yogurt, spicy green peppers and boiling butter poured on this 19th century dish, easily one of our favorites, yet one of the most dangerous. After pleasing our palates, we stopped at Bursa, not only the center for Ottoman silk, but the once terminus of the Silk Road, a network of trading routes that linked the eastern corners of Asia to various sites in Constantinople/Istanbul. The rush of excitement that enveloped the teachers as they darted in and out of these quaint shops to seek the highly coveted silk scarves and other precious materials was probably tantamount to how merchants felt during the heyday of the Silk Road trade to sell their products and earn a handsome profit. While in Bursa, we saw Karagoz – a Turkish Shadow Theater Performance. Behind the screen, known as the imagination world, a multitalented performer regaled us as he directed various three-dimensional cut-out characters to enact satiric themes. This traditional form of entertainment is still very popular among people of all ages and can especially be used in the schools to teach important lessons. Because Turkey is well-known for their baths, akin to the famous Roman ones, our evening was spent in traditional Turkish style by enjoying a variety of hot pools as a way to relax and feel rejuvenated. In the morning, we traveled to Ulucami, an early Islamic style Mosque, which stands out due to its 192 inscriptions written by celebrated calligraphers. Besides the imposing domes and stunning paintings and writings adoring the walls of the mosque, you could find individuals involved in Quran recitations throughout the corners of this holy building. 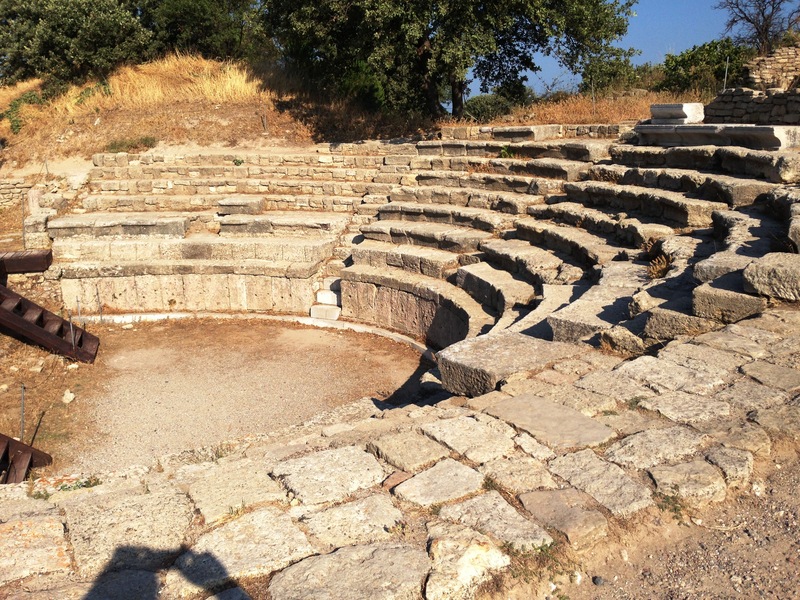 Indeed, exploring the ancient calm of the Anatolian outskirts, swimming in the Aegean sea, and soaking up the rich cultural and historical history has truly been an indelible experience. As we are only halfway through our trip, we still have so much more to see in this beautiful country and that makes us very excited! Questions for the teachers? Thinking of traveling to Turkey? Leave your comments and questions below! Previous Post First Impressions From Our Teachers in Turkey!